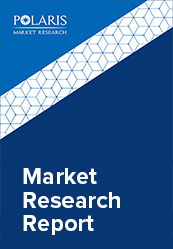 The global polymer gel market was valued at USD 5,244 million in 2017 and is anticipated to grow at a CAGR of 6.1% during the forecast period. A polymer gel consists of a three dimensional cross-linked polymer network with the ability to retain high water content. The elastic cross-linked network has interstitial spaces that can hold a solvent, providing the ability to swell or shrink on the basis of changes in their environment. The different types of polymer gels available in the market include polyvinyl alcohol, poly acrylic acid, poly acrylonitrile, polyacrylamide, silicone, and polyarylates. Polymer gels find applications in a wide range of industries such as personal care, agriculture, construction, pharmaceuticals, paints & coatings, and healthcare among others. The major driving factors of the market include its varied applications in diverse industries such as healthcare, personal care, agriculture, and construction among others. The high demand of personal care products supports the growth of the market. Polymer gel is used in contact lenses. The increasing disposable income, improving lifestyles, and growing trend of colored contact lenses drives the growth of contact lenses, thereby supporting market growth. Diapers and other hygiene products use polymer gels owing to its high absorbing properties. Increase in awareness about personal hygiene, improving lifestyles, and changing consumer preferences have resulted in increased demand for these products. Other factors driving the growth of this market include increasing standards of livings, and growing infant and geriatric population. Expansion of established companies into emerging economies, increasing applications, and technological advancements would provide numerous growth opportunities in the market. The global polymer gel market is segmented on the basis of material, composition, application, and geography. Based on the material, the market is segmented into natural, synthetic, and hybrid. The composition segment is categorized into polyacrylamide, polyacrylate, silicone modified hydrogels (Si-H), and others. The applications are segmented into personal care, agriculture, construction, healthcare, and others. This report comprises a detailed geographic distribution of the market across North America, Europe, APAC and South America, and MEA. North America is further segmented into U.S., Canada, and Mexico. Europe is divided into Germany, UK, Italy, France, and Rest of Europe. Asia-Pacific is bifurcated into China, India, Japan, and Rest of Asia-Pacific. Asia-Pacific accounted for the largest share in the global Polymer Gel Market in 2017. The leading players in the market include LG Chemicals Ltd., Chemtex Specialty Limited, BASF Corporation, Evonik Industries, FIMA Group Ltd, Nippon Shokubai Co., Ltd., SDP Global Co., Ltd., Sumitomo Seika Chemicals Co., Ltd, Ma’s Group Inc., and Dow Chemicals among others. The vendors in the market are launching new products to meet the growing customer needs. In addition, the leaders in the market are acquiring and collaborating with top companies in the market to enhance their offerings in the market and expand their customer base.